Skillblenders | Know your blend! Take your team from good to GREAT! This site-exclusive feature helps the learner to get to know their coworkers on a deeper level. Learners can create their own group maps that provide useful tips on interacting with coworkers. 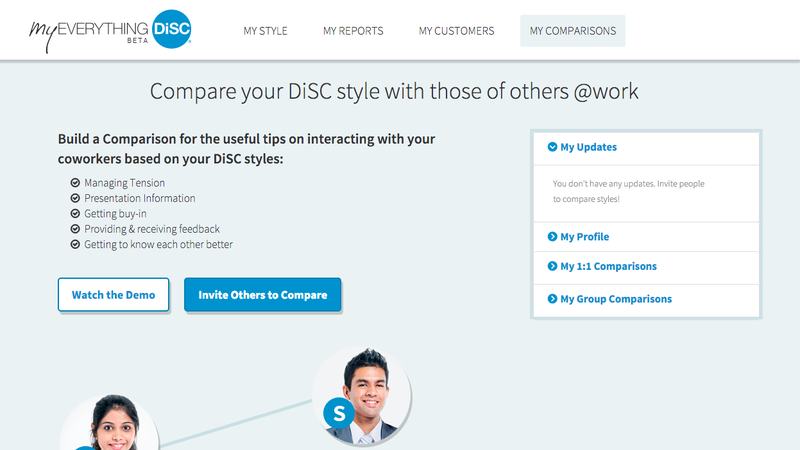 Learners can create comparisons with coworkers, vendors, family, or friends that are currently using “My Comparisons”. 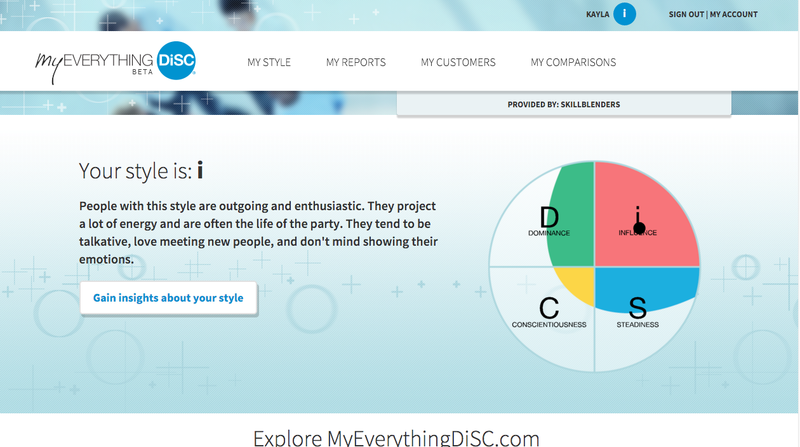 Watch this video to learn how MyEverythingDiSC.com will add value and depth to your DiSC experience. “I have worked with Skillblenders on a variety of projects, specifically personal coaching and content delivery. During my time with Deb as my personal coach, she reviewed my personal assessments and helped me put together a coaching plan to act on some of the feedback and opportunities that had been identified. We met regularly for about 12 months to keep on track of the goals we had set up and she was able to help me brainstorm around the roadblocks I came up against to stay on track to my development goals. Contact us with your questions and ideas – we’re here to help.